A short prison diary kept by Japanese anarchist feminist Kanno Sugako, prior to her execution on 25 January 1911 for her part in a plot to assassinate the Emperor. She was the only woman to ever be hanged for treason in Japan. This is written as a record of the period from the time the death sentence was pronounced to the time I mount the scaffold. I shall write things down candidly and honestly in a straightforward fashion without any effort at self-justification. In the women’s prison in Tokyo. January 18, 1911. Cloudy. Needless to say, I was prepared for the death sentence. My only concern day and night was to see as many of my twenty-five fellow defendants saved as possible. I boarded the prison carriage just before noon. From the window of the carriage I could see in the dim sunlight saber-bearing figures solemnly standing guard en route. They seemed to presage the verdicts of the trial, and I waited impatiently for the court proceedings to start at 1:00 p.m. The time came. We climbed up to the second floor, then to the third floor, and then down again to the second floor to the courtroom of the Supreme Court. The security measures along the corridors and in the courtroom during the proceedings were extremely tight. The court was packed with people — lawyers, newspaper reporters, and spectators. I tend to get dizzy easily, so I felt a bit faint, having climbed many stairs and because of the stifling presence of the crowd in the courtroom. After I calmed down, I looked around at my fellow defendants. They were all sitting circumspectly, looking worried. They looked as if they were afraid to smile at each other. A pride of hungry lions. Their nails and teeth had been filed and smoothed down. There they sat before me. Twenty-five sacrificial lambs. Soon the judges entered through the left door at the front of the court-house. Will it be life or death? Many of the defendants’ hearts must have beat faster. The clerk read the names of the defendants. Chief Justice Tsuru Jōichirō said a few words of instruction. Then, contrary to the usual procedure, he left the verdicts to the end and proceeded to read the lengthy arguments, sipping occasionally from a glass of water. As he continued to read, it became clear that he was arbitrarily linking even those who were clearly innocent to Article 73 of the criminal code. His sophism became increasingly blatant. My concern increased and finally overwhelmed me like a tidal wave. But until he read the verdict for each defendant, I kept hoping against hope that some, even one person, would receive a minimal sentence. But, ah, it was all in vain. ... It was all over. Except for Nitta Tōru, who was sentenced to eleven years in prison, and Niimura Zenbei, who was given eight years, the remaining twenty-four of us were sentenced to death. From the beginning, I feared that this would be the case, but the trial was conducted in such an unexpectedly meticulous fashion that I began to hope that it would be relatively fair. The verdicts came as a shock. I was so angry and upset that I felt as if my entire body were on fire, and I began to tremble. My poor friends, my poor comrades! More than half of them were innocent bystanders who had been implicated by the actions of five or six of us. Just because they were associated with us, they are now to be sacrificed in this monstrous fashion. Simply because they are anarchists, they are to be thrown over the cliff to their deaths. I was not the only person shocked by this unexpected turn of events. All the lawyers, prison officials, and police who had been present during the trial on the sixteenth and were privy to the truth about this affair certainly must have been shocked at these outrageous verdicts. You could read it on the faces of everyone in the court. The defendants remained voiceless and silent; for the moment they were frozen in irrepressible anger. Then cold smirks appeared on their lips. Then the straw hat was placed on my head. Because we were marched out in reverse order of our arrival, I was the first to leave. As I stood up I thought of my comrades. Though they will mount the same scaffold as I, we shall never meet again. Some of them must certainly feel bitter toward us. But they are all my comrades. We stood side by side as fellow defendants. Farewell, my twenty-five friends. Farewell, twenty-five victims. Goodbye! “Goodbye, goodbye!” That was all I managed to say. When I returned to the detention room of the courthouse, I began to cool off and regain my composure. I felt somewhat ashamed of myself for getting so angry. But what an outrageous trial! However, it should not have surprised me. My past experiences should have prepared me to expect this as a matter of course. We initiated our plot precisely because this kind of outrageous legal system and despotic political authority exist. It was absurdly foolish to hope, even for a moment, that the wielders of power — whose authority I do not acknowledge — might save my comrades simply because the court hearings were meticulously carried out. Soon the prison carriage arrived. I left the dimly lit detention room. The blood-red face of Takeda Kyūhei, one of the defendants, showed in a small detention-room window. He shouted, “Goodbye!” I replied, “Goodbye!” Someone else shouted “Goodbye!” One word filled with so much emotion. The late afternoon sun hits the prison carriage from the side. The carriage carries me to Ichigaya, on a route that I shall never see again. January 19. Cloudy. Though I was furious, I must have been exhausted from the strain of the past several days. I slept soundly from early evening, and today I feel refreshed. I have received permission from the prison authorities to leave some of my possessions to my friends as mementos. I will leave my formal silk kimono to Sakai Mā-bō, the single-layer kimono to Hori Yasuko, the black cloak and the lined garment of striped muslin to Yoshikawa Morikuni. I wrote postcards to the three lawyers, Isobe Shirō, Hanai Takuzō, and Imamura Rikisaburō, expressing my shock at the verdicts. I also wrote cards to Sakai, Hori, and Yoshikawa, telling them about the mementos. In the evening, the chaplain, Numanami Masanori, appeared. He told me that one of the fellow defendants, Mineo Setsudō, came to appreciate the value of faith in an external power after he was sentenced to death. The chaplain said he was impressed that Mineo showed no signs of fear or worry. He then urged me to seek solace in religion. I told him I could not be more at peace with myself than I now was. It is ludicrous for an anarchist who is against all authority to turn to Amida Buddha for peace and security simply because he [sic] faces death. But I can appreciate Numanami’s position as a religious leader and as a chaplain. I have, however, my own beliefs and peace of mind. We had sailed into the vast ocean ahead of the world’s current of thought and the general tide of events. Unfortunately, we were ship-wrecked. But this sacrifice had to be made to get things started. New routes are opened up only after many shipwrecks and dangerous voyages. This is how the other shore of one’s ideals is reached. After the sage of Nazareth was born, many sacrifices had to be made before Christianity became a world religion. In light of this, I feel that our sacrifice is miniscule. I told the court these thoughts on the last day of the trial. They are with me constantly. I am convinced our sacrifice is not in vain. It will bear fruit in the future. I am confident that because I firmly believe my death will serve a valuable purpose I will be able to maintain my self-respect until the last moment on the scaffold. I will be enveloped in the marvelously comforting thought that I am sacrificing myself for the cause. I believe I will be able to die a noble death without fear or anguish. At night Tanaka, director of prison instruction, came to see me. He told me that my fellow defendants were fairly calm and serene. I was pleased to hear this. He also talked about instances in which people condemned to death faced their end admirably. I described the kind of coffin I wanted made for me and how I wanted to be dressed after death. I was afraid that the supporters of the emperor and champions of patriotism might dig up my corpse and hack it to bits. I did not want to look too shabby when this happened. After Tanaka gave me his blessings, Numanami brought me two pamphlets: the Tan’ishō and Outline of the Blessings of Faith. January 20. Snow. Snow has settled on top of the pine trees and the dead branches of the cypress trees. The world has been covered in silver during the night. Since the beginning of the year there have been several short flurries, but this storm doesn’t look as though it will stop soon. Let it snow, let it snow! A foot, two feet. Pile it up high. Envelop this sinful city of Tokyo in snow, like a city buried in ashes. Level the entire landscape. I wonder what the defendants in the men’s prison are thinking of now as they look out at the cold snow from the three-foot iron windows? Snow. Full of memories. As I stare out the iron window and observe the gently swirling snow, memories of many years float past my eyes, the many times that I looked up at the same sky with all sorts of thoughts and feelings. A combination of happiness and sorrow quietly presses against my chest. I long for those days, but I realize that all things are ephemeral. Everything now belongs to the past. I don’t know what will happen to me tomorrow. Now I do not have time to enjoy reminiscing about the past. Oh, yes, I have the time, but my time is too precious. I must use the time to read, to write. And there are things that I must think about immediately. My mind is preoccupied with thoughts of things that I must take care of. Why do I feel so restless and harried? I don’t understand it. Is it because a stack of books is facing me? Is it because I can’t see the people I must see to have certain things taken care of? Is it because I haven’t written my last words to my younger brother? People tell me that I haven’t changed at all, that I am still full of energy. But even though I am busy with all sorts of things, nothing gets done. Still, it doesn’t matter. I’ll do what I can and whatever’s unfinished, I’ll leave as it is. I saw your letter of the fourth. I hope you will write your prison diary as forthrightly and courageously as possible. I admire you for not giving up your English studies. There is a saying that goes something like this: “For each day that a person lives, there is one day’s worth of work.” We all could die tomorrow, but I am studying German and French bit by bit as if I were definitely going to live till I am sixty. I don’t know how many days or months you have left. If we look at our lives from the standpoint of the eternal universe’s time and space, they last only a split second. Isn’t it wonderful that we can spend part of that moment exchanging lighthearted letters like this? I certainly am calm. Since September of last year I’ve been playing tug of war with the dictionary, trying to learn English. I go at it with a nervous sense of urgency but am making very little progress. I am only one-third into Reader V.
I had gotten so that I could at least read a [Japanese] magazine without much schooling. It is only natural that I cannot come up to the hem of those who have a formal education. However, what bothered me most of all was that I did not know a foreign language, and I wanted at least to be able to read one. Though I started to study on my own several times, poor health or something else always interfered. So I had not been able to do anything about this till recently. It was due in part to my lack of will power and patience but also to the circumstances I found myself in that only in mid-September did I decide that the time had come for me learn to read at least some simple English selections. I had to do so before I died. So I started with a Third-level Reader. Now, I don’t know when I will be executed. I probably don’t have much time left, so I guess I won’t be able to master the language. I regret this very much. This diary will be written without any falsehood or pretense. Sakai need not worry about this. It will reveal the naked Kanno Sugako, just as I am. I must copy down two or three poems from my other diary. What are we puny things fighting about — in the midst of eternal time and boundless sky? Born in a tiny country, I am sacrificing my little body for a glimmer of hope. What a nation! It takes pride in spilling the life-blood of a hundred thousand people over one inch of the map. Another day spent guarding the shadows created by the sunlight that comes through the barred window. I know that the cliff drops one thousand fathoms, yet I rush down the path without turning back. I lie motionless in the cold night bed and listen time and time again to the stealthy sounds of sabers. I lie on my back for half a day, looking through the three-foot window and watch the leaves of the cypress tree sway in the wind. The gingko tree in the winter exudes a sense of reverence. It looks like a holy man coming from the snowy mountains. This wretched love. It continues to smolder like the smoke that keeps rising from glowing ashes. My last day will soon come. I smile as I think about my life. I can think about it forever. Is the strong, courageous child of revolution the same person as the weak, frail, weeping child? Is this me? Don’t ask where the seed that dropped in the field is. Wait for the east wind that blows in the spring. We lined up by the railing listening to the song of the seashore where Hatsushima Island floated three ri off in the waves. Deep in the night the wounded person cries. Both the old and new wounds are painful. In coming and going, did I see through the straw hat, the pale face in the third window? His eyes said “forgive me,” but my eyes were as cold as the ice in the northern sea. I cursed at the light and darkness that came and went through the iron window for two hundred days. The evening crow. It keeps solitary watch over the rain clouds floating slowly across the big sky. Autumn afternoon. In the hollow of the cherry tree two tiny frogs are having fun. The pillars of words in my heart. They collapse one after the other in the autumn wind. I remember when I said “I’m going to end my life at twenty-two” and cut the strings of the violin and wept. You and I. We go to our graves feeling as if our hearts are separated east and west by the sea. The cherry petals fall on the stone-covered path of the Daihikaku Temple. And the temple bell peals. In the evening I received cards from Sakai and Tameko, Yoshikawa, and Kōtoku Komatarō. I wanted to jot down my thoughts after reading the cards, but it was more than I could do. As I reread what I’ve written so far, this diary strikes me as totally disorganized and fragmentary. It’s almost as if I’m writing down the mutterings of my dreams. It’s distressing. Should I stop altogether? January 21. Clear. The sun is shining on the snow on the pine tree branches. It looks like a painting by Maruyama Ōkyo [1733–95]. An exquisite scene. When Sakai started his Baibunsha, the first person to ask for help was a student in a women’s college. She wanted the Baibunsha to write her senior thesis. What a comment on our society — comical and disgraceful at the same time. I hear that Sakai Tameko is attending midwives’ school. I admire her courage and initiative to begin studies at the age of forty. And I admire Sakai for helping his wife become independent and self-sufficient. I am sure this entails some inconvenience for him. Not every man would be so willing. 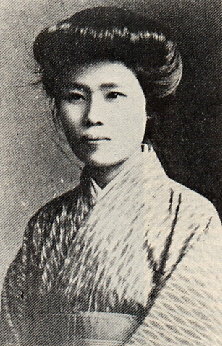 Kōtoku’s mother died on December 28. She caught malaria and then pneumonia and died ten days after she got sick. I was told that when she came to Tokyo in November to see Kōtoku, she had planned to visit me too, but because Ochiyo was with her she held back and left without seeing me. Even though Kōtoku and I had broken off relations by then, she and I still saw each other as mother and daughter. When I heard that she had come all the way to Tokyo and did not visit me, I was hurt and felt she was being heartless. Now having heard what happened, I feel guilty to have thought ill of her even for a moment. I think of her with fondness. We were mother and daughter, and then we were no longer members of the same family. Now we have parted, never to see each other again. She had comforted me constantly with her letters and packages. The past is like a dream. Ah, life is like a dream. Time is the graveyard, and everyone is going to be buried eventually. It is only a matter of time. Here I am, weeping over the death of others. But I too will be buried soon. I seem to have caught a cold. I have a bad headache, but I took a bath anyway. Bathing is one of the few pleasures of prison life. Visits, letters, and bathing. I have no family, am virtually alone, so I seldom have visitors or get letters. The bath we are allowed every five days is my greatest pleasure. From the clear, blue sky the warm sunlight streams in through the barred window. Sitting before the desk, feeling relaxed after my bath, how happy I would be to simply melt away and fall asleep forever. This day a year ago I was released from prison. Of the three of us who left prison that day, Higuchi Den is doing extremely well. In contrast, I am merely staying alive. Oka Chiyohiko went back to his old nest in Chiba and is struggling with cold weather and hunger. I wonder why Oka was imprisoned. Are those who are successful right and those in the depths of despair wrong? What about Morioka Eiji, who lost his mind and jumped into an old well in Dairen? What about those people who abandon their principles like worn-out sandals because they fear government oppression and hope to save their skins? Isn’t fate fickle? The human heart is so frail. Let those who want to leave, leave. Let those who must die, die. New shoots sprout only after the mammoth tree falls. In the springtime of the intellectual world, those of us who deem ourselves to be pioneers need not look back to fall and winter. We must look forward. We must rush forward. We must rush toward the light that offers us hope. It seems that the authorities are watching our comrades in the outside world with even greater vigilance. The trial’s shocking and outrageous results show that the government is planning to take advantage of this incident to adopt extreme, repressive measures. Persecute us! That’s right, persecute us! Don’t you know that for every force there is a counterforce? Persecute us! Persecute us as much as you wish. The old way is fighting the new — imperialism versus anarchism. Go ahead: Take your piece of stick and try with all your might to stop the onrush of the Sumida River. Chaplain Numanami comes and asks me, “How are you?” I reply, “Same as usual.” He says, “You have peace of mind because your life is founded on faith in your ism, your cause. Some people may be chagrined about the whole affair, depending on how deeply they were involved in it. You were involved in the affair from the beginning to the end, so you must have been prepared to face anything.” What he said pleased me. It was much better than his trying to convert me. I am sure many fellow defendants are deeply distressed about what has happened. This incident is unprecedented in history, but the punishment is unprecedented too. This affair should not be labeled a conspiracy by the anarchists. Rather it should be called a conspiracy concocted by the public prosecutors. The invocation of Article 73 in the trial was truly idiotic. The public charges and the truth of the matter were totally unrelated, like a novel written by a third-rate writer. Only the five of us — Kōtoku, Miyashita, Niimura, Furukawa, and I — were involved in the conspiracy, the group that the prosecutor called the “reserves under Kōtoku’s direct command.” The prosecutors linked the others to the conspiracy simply be-cause of the idle talks we had with them in the past, talks that were as ephemeral as smoke drifting in air. The prosecution argued that the affair was a conspiracy of the anarchists — so-and-so is an anarchist, or so-and-so is a friend of an anarchist; therefore, they were participants in the conspiracy. Using this kind of outrageous reasoning, they went about arresting people. Rushing to fight for honor and fame, the authorities strove to bring as many as possible to the dock. They resorted to deceit, double-dealing, threats, and, in extreme cases, methods similar to the tortures used in the past. Some were questioned continuously day and night without rest or sleep. The prosecutors latched onto the common complaints that ordinary people, not necessarily anarchists, mouth about the government. They presented these casual discussions as if they were linked in a profound way to the conspiracy. Even though one were to let them interpret these discussions as broadly as possible and define them as being conspiratorial, they can in no way be linked to Article 73. At most, the prosecutors might prove a plot to stage a civil uprising. But the prosecutors and judges who conducted the preliminary investigation questioned the accused in detail about anarchism. When the ideals of anarchism — and these were merely ideals — were expressed, the prosecutors concluded that because anarchism believes in absolute freedom and equality it perforce also naturally rejects the imperial family. Through such reasoning they managed to get their inferences into the records of the examination. They then used these theories and ideals, which have no relationship with the current affair, to entrap completely innocent people. The more I think about this the madder I get. You poor pitiful judges. All you wanted to do was protect your positions. To safeguard them, you handed down these verdicts even though you knew they were unlawful and arbitrary. You went against your consciences. You poor judges, poor slaves of the government. I should be angry at you, but I pity you instead. Here I am bound by this barred window, but my thoughts still spread their wings in the free world of ideas. Nothing can bind my thoughts or interfere with them. You may live for a hundred years, but what is a life without freedom, a life of slavery, worth? You poor slaves. At 4:00 p.m. I was taken to the visiting room. Four people were there: Sakai, Mr. and Mrs. Ōsugi, and Yoshikawa. Before the visit, I was told by the warden that I was not to speak about the trial. This must have been a governmental directive, based on the fear that if the truth about the outrageous trial got out, our comrades might vent their anger against the government. I remember how Sakai and Ōsugi looked when we were together during the trial of the Red Flag incident in room 3 of the court of appeals. Today they looked no different. Both are healthy and vigorous. We spoke a word here, a phrase there. I tried to avoid meeting their eyes, which were filled with tears. I tried to laugh and chat casually, but finally when the time came to say farewell, especially when it came time to shake Yasuko’s hand, the tears that I had been holding back poured out as if from a broken dam. We both cried and held hands for a long time. Oh, my dear friends, my comrades! When I blurted out “The verdicts were a surprise,” Sakai said in anguish, “I expected you and Kōtoku to die for the cause but...” That’s all he said — his heart was overflowing with emotion. Today I wrote a letter to Mr. and Mrs. Ōsugi and cards to Messrs. Sakai and Yoshikawa. January 22. Clear. Last night, for the first time since I was jailed, I felt depressed. The final visit from my friends was nerve-racking. Since June 2, when I heard that our plot was uncovered, I have been convinced that I have to learn to discipline myself. Right now I feel like a worthless person — to be overwhelmed, even for one night, by such irrational feelings. I despair for myself. How could I be such a weakling? Maybe it is only a natural reaction. Asian heroes say that one’s face should not reveal feelings of joy or anger, happiness or sorrow. In a way, this is a highly admirable ideal, but at the same time it is hypocritical. Maybe an idiot or a sage can really transcend joy and anger or happiness and sorrow, but ordinary people are filled with such feelings. Only by lying or pretending can they live without showing feelings. I am a weak person, emotional to the extreme. I hate lies, I dislike pretense. I detest all things unnatural. I cry. I laugh. I rejoice. I get angry. I let my emotions have free play. I don’t care how others measure my worth as a human being. I will be satisfied if I can end my life without lying to myself. Today, however, I feel very good. The sadness of last night has vanished. I wonder why I felt so bad? I was overjoyed to hear that my fellow defendants in the male prison wing are ready to face death, displaying a fortitude worthy of anarchists. When I heard this, I felt as if I were floating on air. Since we are responsible for their plight, I was very worried about how they might react. We are all human. It’s only natural that they might find it intolerable to be punished so harshly for the truly tenuous connection they had with the affair. I am really impressed that they have decided to sacrifice all for the sake of their principles. They are worthy anarchists, worthy comrades. I am truly happy. I am proud to be a believer in anarchism. I have nothing more to worry about or regret. The only worry that had been hovering over my thoughts like a black cloud has dissipated completely. Everything is as bright and clear as today’s sky. I wrote letters to Koizumi Sakutarō, Katō Tokijirō, Nagae Tamemasa, and cards to Okano Tatsunosuke and Watanabe Yayoko. I knew what the verdicts would be before the judge finished reading ten lines of the argument. Like all lawyers who hope for favorable decisions, I had clung until then to the hope that five or six of the defendants would get off with light sentences. But it was in vain. Hard as it was to remain in the courtroom, I did not want the two men I was defending to lose hope. So even though I found it painful, I stuck it out until the end of the proceedings. I even said a few words of encouragement to them. There’s nothing that can be done about the application of the law, so let us leave the question of the verdicts’ justness to the judgment of history. I don’t think that you’re the sort of person that requires words of comfort. I am tormented, though, when I think about how those who were not prepared to face the worst must have felt. I haven’t been able to do anything since the eighteenth. Even a lawyer feels this way. Is it any wonder that I feel tormented beyond endurance, me, their comrade, who is responsible for their plight? I wrote a reply to Hirade under the dim light-bulb. January 23. Clear. I wake up every night at 2:00 a.m. when they come to change my hot-water bottle. Though I am drowsy, I can’t fall back to sleep for two or three hours. I lie there thinking about all sorts of things. Last night when I woke up, I thought about a number of things — Sakai who came to see me the day before yesterday, my fellow defendants, my younger sister’s grave, which is in Seishunji [in Yodobashi in Tokyo]. When Sakai or Yasuko delivers the money to take care of the grave, as I asked them to, I wonder what that monk whom I detest so much will say. I don’t believe in the superstition that the dead will be saved by the power of the sutra, so I tended to neglect sending gifts to the temple. Whenever I visited my sister’s grave, the monk always gave me a nasty look. As a result, I stopped going to her grave site to place flowers and incense and instead placed her favorite food and so forth before her photograph. This is just as silly, for, after all, the dead person’s body has already turned to smoke or has decomposed and returned to its original atomic particles. I don’t believe that the spirit survives and is pleased to receive flowers, incense, or other gifts. I did these things out of habit and for my own psychological satisfaction. Given my current situation, however, I feel I ought to give the temple at least a little money to care for the grave. If not for me, then certainly for the sake of my younger brother, who is currently in America. When he re-turns to Japan one of these years and asks about our younger sister’s grave, he would, without question, be crushed if he found that the grave had been neglected and allowed to deteriorate because it was looked on as the grave of a person without family. Last night I thought about what should be done with my body after my death. After my last insignificant breath and when I have become a mere lump of flesh, I suppose it doesn’t really matter what happens to my remains. But I hate the thought of being squeezed into a coffin in an awkward position with my legs bent under. I want a coffin in which my body can be laid out flat. The day before yesterday, when my friends visited me, I asked Warden Kinose, who was present as an observer, to get me a full-length coffin. I expect the coffin will be finished before long. I had also wanted to be in my good clothes. If by chance someone were to dig up my coffin and expose my body, I didn’t want to look too unseemly. Now, however, I’ve decided it would be more natural for me to be dressed in my ordinary clothes. It doesn’t matter if my dress is torn or soiled. I had also asked Section Chief Iizuka to let me take a bath on the morning of my execution, but this morning I told them to forget about that too. I don’t care about the headstone. Truthfully, I really don’t care if they burn me and scatter my ashes in the wind, or if they throw my body in Shinagawa River. But I suppose they couldn’t do a thing like that. So if I am to be buried, I really want to be buried next to my younger sister. As I said, I don’t like that temple, so I have arranged to be buried in the convict graveyard in Zōgegaya. This will be the least trouble. The day before yesterday when Sakai and Yasuko asked me if I had anything I wanted taken care of, I told them where I wanted to be buried. This morning I wrote cards to the Baibunsha and to our attorney, Hirade. I asked the people at Baibunsha to arrange to have a new wooden tablet set up by my sister’s gravestone when they went to the temple. Thinking about the grave, I was reminded of the prosecutor Taketomi Wataru. I met him three years ago after the Red Flag incident. At the time, we clashed over my request to have the wording of my pretrial statement corrected because there were inaccuracies. We ended up getting angry at each other. Then the following year — that is, two summers ago when I was imprisoned and charged with a violation of the press law in connection with my work with the magazine Jiyū Shisō — the same prosecutor tormented me. He was extremely mean and devious in questioning me and pressed the case against me in a merciless fashion. When the current affair broke out, I was initially examined by him, but I was determined not to say a word, since I disliked him so much. In fact, I even thought of killing him and bringing him along with me to the land of the dead if I got the chance. Later, however, he talked about his life — about his mother and how he had worked his way through school — and I began to feel sympathetic toward him and abandoned any thought of killing him. I, too, shared my feelings with him, and we parted amicably. I imagined that this would be his way of repaying me viciously, but no matter who writes about me it’s highly unlikely that anything good will be said. I have been a maverick and haven’t followed any straight and narrow path. Thanks to my stubbornness and determination not to knuckle under, I succeeded in not becoming a prostitute or a textile-factory worker. But the story of my life would not elicit the sympathies of anyone except, perhaps, kindhearted people concerned with social problems. I have given up any hope of winning people’s understanding. My story is bound to be told in a slanted way, and I might as well have it told as unsympathetically as possible. So, in the end, I told my life story to the prosecutor almost as if it were a novel. His eyes seemed to say that he was not merely flattering me. So I thought he might visit my grave at least once. When I mentioned this to someone, they laughed and said that he was probably just superstitious about the entire thing. If I could return as a ghost, there are so many people, beginning with the judge of the Court of Cassation, that I would like to terrify. It would be wonderful to scare them witless and make them grovel. Early this morning, I had an interesting dream. I was with two or three people whom I can’t recall now, and we were walking on a path in a field by a brook. When I looked up, I saw the sun and the moon, about three feet apart, vividly etched in the blue sky. The sun was the same color as the moon, and it was not fully round but was shaded by a third. The moon was about ten days past the new moon. I told my companions that when the sun and the moon appear together it means a great calamity is about to befall the nation. Then I woke up. Maybe my brain is somehow injured, but from way back I’ve often dreamed all night long. I’ve never had a dream like that, though. A crescent-shaped sun and moon. I wonder what all this means? Nowadays, every morning when I get up I think in amazement, “Oh, am I still alive?” That I am still alive feels like a dream. I heard from Tanaka, chief of moral instruction, that over half of the defendants condemned to death have been given a reprieve. Their sentences were probably reduced one degree to life imprisonment. The verdicts were so unjust that this came as no surprise. Still, it is delightful news. I don’t know whose sentences were reduced, but it must be those who had very little to do with the affair; those people who, in my opinion, were completely innocent. They must be overjoyed, since, even though they were condemned unjustly and arbitrarily, they were facing the death penalty. The authorities first hand down these harsh sentences, then reduce them, touting the action as an act of the emperor’s benevolence. They try to impress the people of Japan, as well as those of other nations, that this is an act of justice and mercy. Are we to admire this kind of clever scheming? or condemn it as artful politicking? Still I am really happy that my comrades’ lives have been spared. To be fully satisfied I would like to see all others saved except for the three or four of us. If I could take the places of all of them, I would be happy to be broiled to death by being trussed upside down or have my back split open and have molten lead poured into me. I am willing to suffer any kind of torture and punishment. Someone told me an interesting story about Tanaka who was a samurai of Aizu-han. Tanaka was captured and condemned to death in 1872. On his way to the execution grounds he was unexpectedly given a reprieve. It is a story that intrigues someone in my situation a great deal. Tanaka is tactful in tailoring his talk to fit the person he is talking to. He does not say anything mentally upsetting but simply comes up with timely and appropriate stories. I am impressed. It is the fruit of years of experience. Five letters arrived. They were from Sakai Mā-san, Koizumi Sakutarō, Minami Sukematsu, Kayama Sukeo, and Tomiyama. Mā-san’s is a beautiful picture-card of flowers and grass. She has written in pencil, “I understand you are giving me something. Thank you very much. Goodbye.” I can just see her big eyes, fair face, and adorable figure. She is really a lovable child. Before I lift the sake cup, I think only of the relationship with beautiful princesses. After I am drunk I understand the bitter search. Tonight my dear friend is in prison. Where will the spirit that haunts his dreams be at the end of the year? He has been of great help to me during the past two or three years. I read his letter over and over, and was overcome with emotion. Please stay well. Live for a hundred years. I am writing this under the dim electric-light bulb. I can barely move the brush, which is cold as ice. It is difficult. The call for us to go to bed was issued sometime ago. The lonely wind is blowing past the window. I guess I will call it a night. January 24. Clear. I wrote to Messrs. Sakai and Masuda, and Ma-bō. I asked Sakai to send my younger brother in America some mementos from me. The court’s verdict, consisting of 146 pages, arrived. I plan to send it to my comrades in the United States. Yoshikawa sent me the Suikodo-Kensō. I feel distressed after reading the hyperbolic, twisted reasoning of the verdict. I cannot get my spirits up to write today. A postcard from Yoshikawa arrived. Yesterday I heard that more than half of my fellow defendants were reprieved. When I heard the verdicts, which were completely unexpected, I was so bitter that the blood in my whole body flared up as if on fire. Now, I am very happy that some of the defendants have been saved. They must be the people who I was certain were innocent. After hearing the news I felt that half the burden on my shoulders had been lifted. 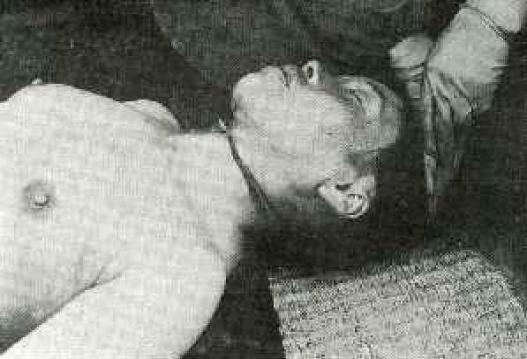 Attached below is a post-execution photograph of Kanno, which has not been embedded as it may be distressing to some readers. A highly detailed 1979 PhD thesis about the origins of the anarcho-syndicalist international, the International Workers Association. The climate crisis …and the new green capitalism?